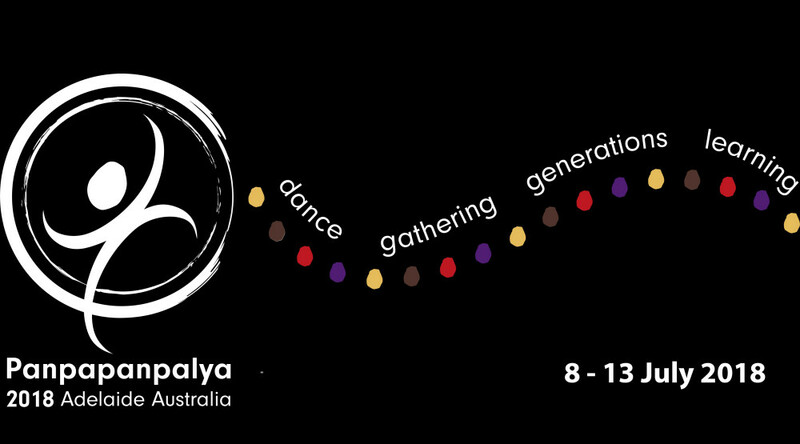 World Dance Alliance Asia-Pacific | The primary voice and support group for dance in the Asia-Pacific region. The total activity will be from June 30th to July 21st. Dancers audition is on June 30th, and the rehearsal will start immediately after, ending with the performances are on July 20th and July 21st. The venue of the rehearsal and the performance are in the studios and the Experimental Theater at the Tsoying High School, Kaohsiung City, Taiwan. The World Dance Alliance (WDA) announces a call for original scholarly articles and performance reviews for Volume 7 of the Journal of Emerging Dance Scholarship (JEDS), from emerging scholars, in the discipline of dance. Authors must be currently pursuing a graduate degree (M.A., M.F.A., Ph.D., or equivalent) or be within five years of having graduated (the degree does not need to be in dance, but the article must be focused on dance as an evolving discipline). Manuscripts should contribute innovative scholarship into contemporary or historical dance, research methodologies, critical choreographic analysis, ethnographic studies, pedagogical practices, or other topics opening insights into the field of dance studies. Articles and performance reviews are submitted to a double blind peer review. JEDS is published online (https://www.jedsonline.net ) as an open access resource and linked through the World Dance Alliance Websites (http://www.wda-americas.net , http://www.wda-ap.org/ and http://www.worlddancealliance.net/ ). Articles and performance reviews are selected to ensure a diverse representation of global dance scholarship is included in each publication. The next Annual General Meeting of World Dance Alliance Asia-Pacific will be held in the beautiful seaside town of Cox’s Bazaar in Bangladesh, from 22-25 November 2019. The event will take place in conjunction with the Ocean Dance Festival, organized by Nrityajog (WDA-Bangladesh). The event will include twinning projects, choreolabs, seminars, workshops and performances. Currently, the event invites proposals for scholarly gatherings of papers, panel discussions, dance research workshops, lecture demonstrations, workshops, posters/installations and Pecha Kucha that address the WDA-AP AGM core theme of ‘Bridging the Gap’ through dance. Please note: the dates for the SEA Choreolab 2019 have been changed to 6 to 14 July 2019. This international choreographic laboratory will take place at Rimbun Dahan, outside Kuala Lumpur, Malaysia, from 6 to 14 July 2019, facilitated by Australian choreographer Liesel Zink. Applicants to this project should be citizen of and resident in an ASEAN country (Indonesia, Malaysia, the Philippines, Singapore, Thailand, Brunei, Burma/Myanmar, Cambodia, Laos, Vietnam) or Papua New Guinea or East Timor. Three to four choreographers recommended by WDA–Asian Pacific, one choreographer recommended by WDA-America, and one from Europe will be selected to attend the Young Choreographer Project in Kaohsiung, Taiwan. An additional three to four Taiwanese choreographers will also be selected to join the event. The funding is supported by National Culture and Arts Foundation, Bureau Culture Affairs of Kaohsiung City Government, and the Chin-Lin Foundation for Culture and Arts in Taiwan. The project is located in the city of Kaohsiung, in southern Taiwan. 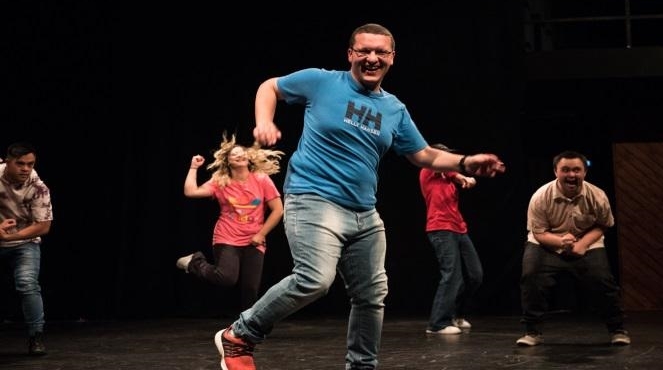 The tentative dates for the 2019 event are from July 1st to July 19th, with two performances taking place on the main stage of the theatre in the campus of Tsoying High School from July 20th to 21st. Choreographers will be selected from lists of names recommended by WDA (Asian Pacific, America and Europe) country delegates. The deadline for the recommendation from each country delegate is January 30 with all documents required sent to Taiwan. Once selected, housing, local transportation, dancers, studios, publicity, production and office assistance will be offered. An honorarium will also be provided: US$ 800 for choreographers from Asian Pacific area and US$ 1200 for choreographers from America and Europe. Participants are responsible for airfare and local transportation between the airport and the stie. The selected choreographers will set their dance on dancers who will be selected in Taiwan. It is recommended that only young choreographers who feel they can meet the challenges of producing a work under unfamiliar circumstances (and with unfamiliar dancers) should apply. The panel in each country and in Taiwan will also be making their selections based on the choreographer’s potential to become a significant contributor to the field in the future. If you are short listed, you will be required to submit WDA (Asian Pacific, America and Europe) a link to an online video (YouTube or Vimeo) of a work sample of your recent choreography, either with a single dance piece or several excerpts (less than 20 minutes). You may also be invited to send up to three photos of your work, which is not compulsory, but will give WDA (Asian Pacific, America and Europe) selection board more ideas about your choreography. Expressions of interest should EMAILED to the WDA (Asian Pacific, America and Europe) office of each country by January 10th. For information about the International Young Choreography Project, please visit http://www.wda-ap.org or contact the Project Office at Tsoying High School (email:dance30@email.tyhs.edu.tw). JDK Crew from Aotearoa/New Zealand, during celebrations for International Dance Day 2018. Photo: Sean Aickin. A new edition of Channels is available to download! 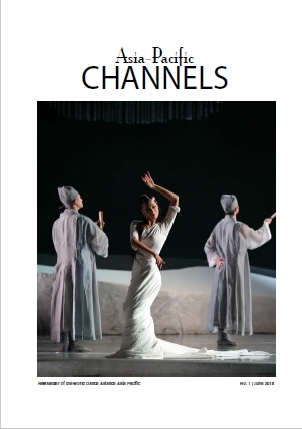 Asia–Pacific Channels is the bi-annual magazine of the World Dance Alliance Asia-Pacific (WDAAP), published by Ausdance National in collaboration with MyDance Alliance in Malaysia. It profiles dance events and activities from WDA members throughout the Asia–Pacific region. A special tribute to Professor Linda Caldwell, whose energy and generosity united World Dance Alliance Americas and beyond. Our cover image is from the Hong Kong Dance Awards, established by Hong Kong Dance Alliance. Congratulations to long-time WDAAP member Anna Chan who won this year’s Distinguished Achievement Award. Much anticipation in this issue of the Panpapanpalya 2018 Joint Dance Congress with daCi which has just successfully concluded in Adelaide, Australia. We look forward to more reports on this event in the next issue. Back issues of Channels can be downloaded from here. The archive of Channels dating back to 1996 is available from the Ausdance website. Results from the November 2017 Annual General Meeting, and the list of the new WDAAP Executive Committee. Outgoing WDAAP President Yunyu Wang (Taiwan) bids farewell, and welcomes Urmimala Sarkar (India), who is turning her Vice President role over to Stella Lau (Hong Kong). 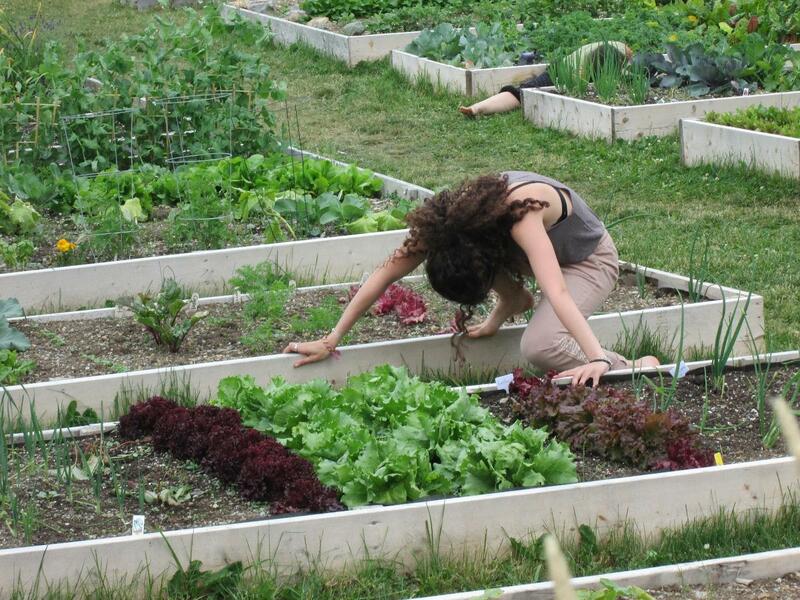 Lubna Marium (Bangladesh) reports on her experience of the WDA Global Summit in Newfoundland, Canada, in July 2017. Beautiful images from the works of the 8 selected emerging choreographers who attended the International Young Choreographers’ Project in Kaohsiung, Taiwan, in July 2017. Choreolab, WDA Global Summit, Memorial University, St. Johns, Newfoundland, July, 2017. Photo: Linda Caldwell. Volume 5, 2017 of the Journal of Emerging Dance Scholarship (JEDS) is now available online at http://www.jedsonline.net/. It contains double blind reviewed essays, along with a call for submission of essays for the JEDS Vol 6, 2018 issue. We have introduced an new section for the next Volume, in the form of short Performance Reviews with photographs, that may be easier for non English speaking scholars. JEDS is designed to serve the needs of international dance scholars who are currently enrolled in a graduate program or within 5 years of having graduated from a graduate program in dance or a related field. JEDS is a project of World Dance Alliance, and is edited by Prof. Linda Caldwell (Texas Women’s University, USA) and Assoc. Prof. Urmimala Sarkar (Jawaharlal Nehru University, India).